What are the best and worst Best Original Songs in Oscars history? This post originally appeared on FiveThirtyEight and is reprinted with permission. The Academy Awards strive to highlight the most significant annual achievements in acting, the craft of making movies and, for some reason, which song from the last year was pretty good. Yes, the Oscar for best original song is a chance to look back on the small batch of tunes explicitly written for the medium of film. But that's the problem; it's a relatively small batch compared with the almost endless number of movies and actors the academy can choose from. It's not a recipe for consistent excellence. In other words, I find the best original song category fascinating because its nominees span such a wide range in quality - the most timeless songs in cinema history and songs that prove the music branch will nominate a ham sandwich if Bono or Randy Newman was involved in making it. So let's find out the worst best original song. (OK, we'll find the best one too.) We took a 30-second clip from every best original song winner in Academy Award history and loaded the samples into a random matchup generator. Then we asked people to select which song they preferred. We promoted this across FiveThirtyEight's social channels over several weeks. It's not a scientific sample, but with more than 50,000 individual matchups evaluated, I'm confident that this ranking approximates prevailing attitudes toward the winners. (9) We can then rank each song by the percent of matchups it won. I was originally worried that the biases of the audience would penalize older songs over more recent songs, but that wasn't the case; more to the point, it appears that we're in a bit of a dark age when it comes to movie songs. But which individual songs could be called the best or worst? At the bottom of the pile, there's "Sweet Leilani" in 1937, "Buttons and Bows" in 1948 and "On the Atchison, Topeka and the Santa Fe" in 1946 (which Judy Garland sang). The worst performing songs of the past 20 years were "I Need to Wake Up" from "An Inconvenient Truth" (2006) and "Man or Muppet" from "The Muppets" (2011). There's a large clump of songs that won around 70 percent of their matchups, give or take 3 percentage points. Call this the great-but-not-best cluster. Then there's a gap before you get to the truly differentiated tunes. The fourth- and third-ranked songs - "Flashdance (What a Feeling)" from "Flashdance" (1983) and "Can You Feel the Love Tonight" from "The Lion King" (1994), respectively - both won 77 percent of their matchups. The No. 2 song, "When You Wish Upon a Star" from "Pinocchio" (1940), won 80 percent. 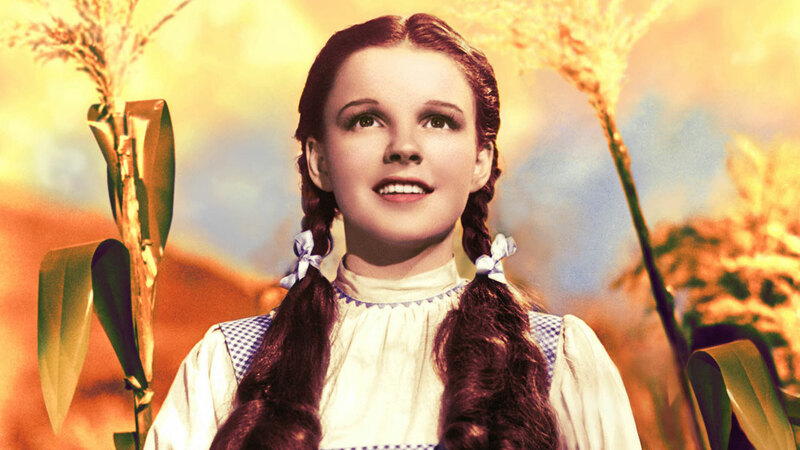 But they're no match for the best best original song of all time: Judy Garland's rendition of "Somewhere Over the Rainbow," from 1939's "The Wizard of Oz," won 91 percent of its matchups. That's head and shoulders over the competition. What's the best best original song? 1. "Suddenly" from "Les Miserables," "Learn to Be Lonely" from "The Phantom of the Opera," "I Move On" from "Chicago," "Hopelessly Devoted to You" from "Grease" and "Mean Green Mother From Outer Space" from "Little Shop of Horrors." 2. Looking at you, "La La Land." 3. "The Hands That Built America"
5. "Dead Man Walkin'," and "Streets of Philadelphia"
7. "Can't Stop the Feeling"
8. "My Funny Friend and Me," "Until," "You Will Be My Ain True Love" and "The Empty Chair"
9. Among our readers, at least. 10. Note: FiveThirtyEight is owned by ESPN, which is partially owned by Disney.